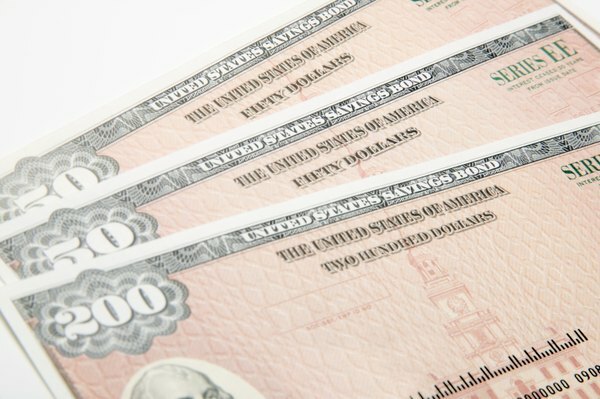 Lost U.S. savings bonds will be replaced by the U.S. Treasury. The good news if you have lost your U.S. savings bonds is that no one else can cash in bonds titled your name. Only a listed owner can redeem a savings bond. The U.S. Treasury provides a form which you can complete and mail in to have your lost bonds replaced. Although you do not need to have the serial numbers of you bonds, the more details you can provide, the easier and quicker it will be for the Treasury to find your savings bond records and issue the replacements. Download the Treasury form PDF 1048, "Claim for Lost, Stolen or Destroyed United States Savings Bonds," from the TreasuryDirect website. Find the form under the "Forms" tab located in the menu across the top of every page on the website. Complete the form by typing in the information. The Treasury form 1048 is a fillable PDF type of file. You can type the required information into the appropriate sections of the form before printing it out. You might first want to print out pages 5 and 6, which are the form instructions, to have those in hand while you complete the form. Print the completed form 1048. Do not sign the form. Take the form to a local bank to have your signature -- and any other owner signatures -- verified by a bank officer. You must show proof of identification at the bank. Make a photocopy of form 1048 before mailing it. There are contact telephone numbers and email address on the form for followup questions. Mail the completed and signature verified form PDF 1048 to the appropriate address listed in the "Where to Send" section of the form instructions. The Treasury takes three to four weeks to process a replacement request and mail out new bonds. Once you have mailed the form, your lost bonds are officially the property of the U.S. Treasury. If you find the bonds, they must be sent to the Treasury. You can also get Treasury savings bond forms by mail. Complete the mail request information on the same Web page from where the form can be downloaded.